Hair Booster Ampoules, SAF100 PRO™ is enriched with B , C , E vitamins, hyaluronic acid and keratin microspheres to promote thicker, stronger and healthier hair. It can be applied individually as an intense nutritional supplement for the hair follicle, or together with the laser unit for a hair loss action. Recommended by doctors from all over the world. Use on alternate days. Cold pressed. Paraben and sulfate surfactants free. For men and women. When used alone: It has an intensive nutritional action, obtain stronger and healthier follicles for a more vibrant and thicker looking hair. When used along with the laser unit: it has a hair loss action, the SAF100 PRO™ concentrate enhances the hair loss laser treatment performance, fighting hair loss from the root. The regenerative properties of the SAF100 PRO™ stimulate the formation of new hair bringing nutrients to the follicles. 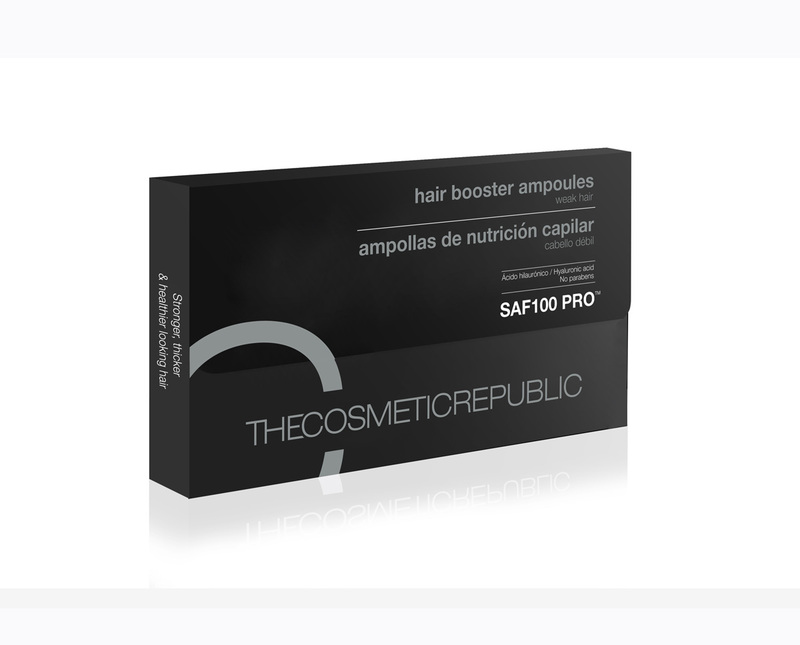 One box of Hair Booster Ampoules SAF100 PRO™ contains 10 ampoules for 3 weeks of treatment. Aqua(Water), Alcohol Denat., Propanediol, Polysorbate 20, Arginine, Glycine Soja (Soybean) Germ Extract, Lactic Acid, Triticum Vulgare (Wheat) Germ Extract, Lactic Acid, Gluconolactone, Hexyl Cinnamal, Scutellaria Baicalensis Root Exctract, Calcium Pantothenate, Acrylates/C12-22 Alkyl Methacrylate Copolymer, Polyvinyl Alcohol, Sodium Starch Octenylsuccinate, Benzyl Salicylate, Sodium Benzoate, Linalool, Limonene, Maltodextrin, Sodium Ascorbyl Phosphate, Pyridoxine Hcl, Tocopheryl Acetate,nmagnesium Nitrate, Hydrolyzed Keratin, Keratin, Methylchloroisothiazolinone, Magnesium Chloride, Phenoxyethanol, Methylisothiazolinone, Calcium Gluconate,Ethylhexylglycerin, Acetic Acid, Silica. 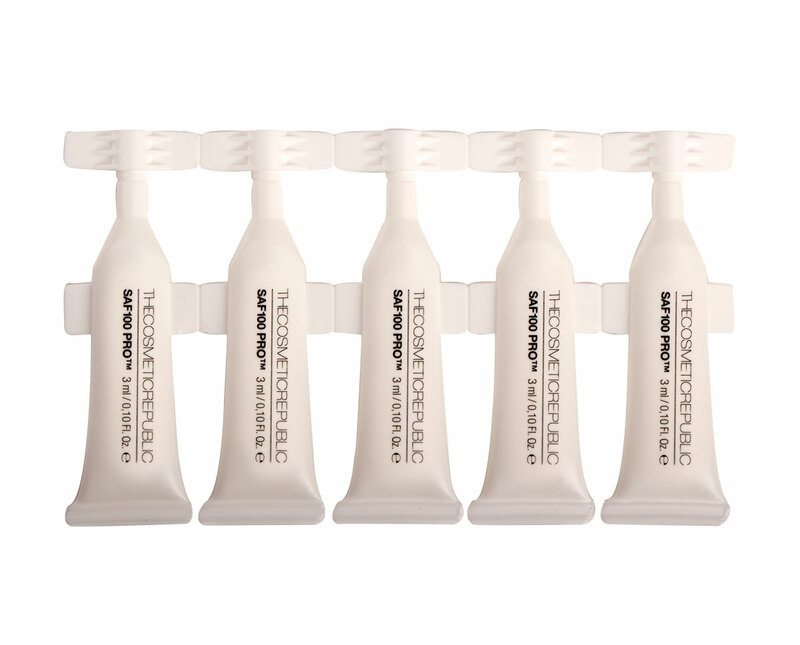 On wet or dry scalp, apply one SAF100 PRO™ ampoule with a gentle circular massage. 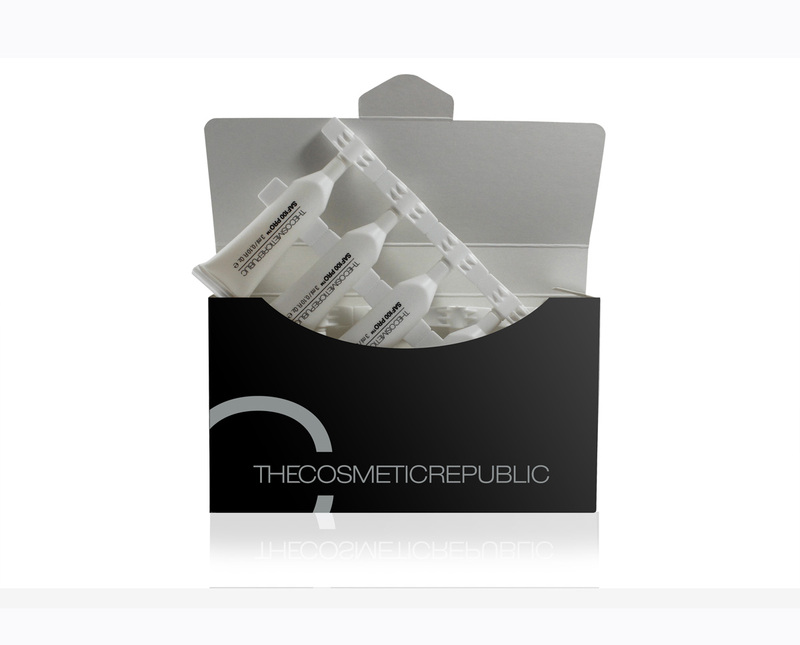 The ampoule will not leave your oily nor dirty. Thanks to its dispenser it will not get your hair wet either. Repeat the application 3 times a week. Do not rinse. The Scalp Revitalising Mask is designed to nourish the hair and obtain a healthier perfect look all day long. Its unique formula contains keratin microspheres, wheat extract and natural proteins which revitalize the scalp, promoting its natural balance. Specially indicated for thin weak hairs, we recommend the use of the Scalp revitalising mask once or twice a week. This high-performance formula hydrates and conditions fine hair while dramatically improving its texture, elasticity, shine and manageability. Cold press processed. Paraben & sulphate free surfactants. Color safe. For men & women.